Injuries such as damage to tendons, muscles, cartilage and various fractures are classified as Orthopaedic Injuries. These injuries can result in nerve damage, chronic pain, and other debilitating conditions that may require surgery and/or lifelong treatment. If these injuries were caused by a motor vehicle accident or a slip and fall, having a dedicated legal team that won’t be intimidated makes all the difference. Our professionals at RPC Law in Georgetown, Vaughan & Richmond Hill work with a network of medical experts who will thoroughly assess and diagnose injuries and prepare a custom-tailored treatment plan to ensure the victim reaches maximum recovery. If you have sustained an Orthopaedic injury, you deserve to be compensated. The experts at RPC Law have successfully represented victims of Orthopaedic injuries from all over Ontario, and have recovered millions in compensation for victims and their families. Contact RPC Law in Richmond Hill, Vaughan or Georgetown for a free, no obligation consultation and put our professional legal team in your corner. We will ensure that you are treated fairly and receive all of the compensation to which you are entitled. 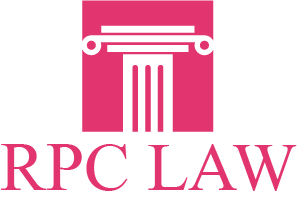 Don’t suffer in silence, call RPC Law and put the top team of personal injury lawyers on the case. We will ensure that justice is served.